AOK Lower Saxony is the first insurance institution in Germany to introduce electronic seals pursuant to the EU ordinance eIDAS. The implementation of the associated software was carried out by the German software companies SEAL Systems and intarsys. The Europe-wide unifying eIDAS ordinance and its associated electronic seal ensure AOK Lower Saxony’s clear identification in its electronic transactions. This EU ordinance was clearly laid down in national law with the eIDAS implementing legislation going into force on July 29, 2017, and the termination of the Digital Signature Act and Digital Signature Regulations. AOK Lower Saxony is the first insurance institution in Germany to implement the new EU ordinance. AOK Lower Saxony decided on the solution presented by SEAL Systems and intarsys, software manufacturers with locations in Erlangen and Karlsruhe. Electronic documents that come to AOK Lower Saxony via e-mail, file upload, and web forms will now be converted to PDF/A through SEAL Systems’ Conversion Server and then given a seal through a signature server by intarsys. The solution also supports the decentralized scanning of documents by on-site customer service. The qualified seal certificates of the German trust service provider D-Trust are used as an in-house card-based solution. Both systems are operated with the highest security and fail-proof through the AOK Lower Saxony computer center. “This solution is a crucial component in enabling a thorough and consistent digital handling of all processes in AOK Lower Saxony, in compliance with the high security standards,” says Sebastian Angerstein, Project Head for AOK Lower Saxony. Do you have questions about the implementation of the electronic seal in your company? 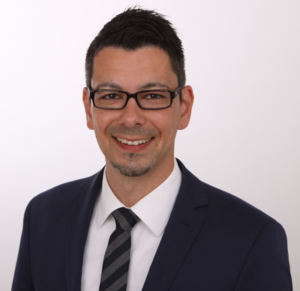 Our expert Jürgen Gotthardt is happy to assist you! Just fill out this form and he will get in touch with you!